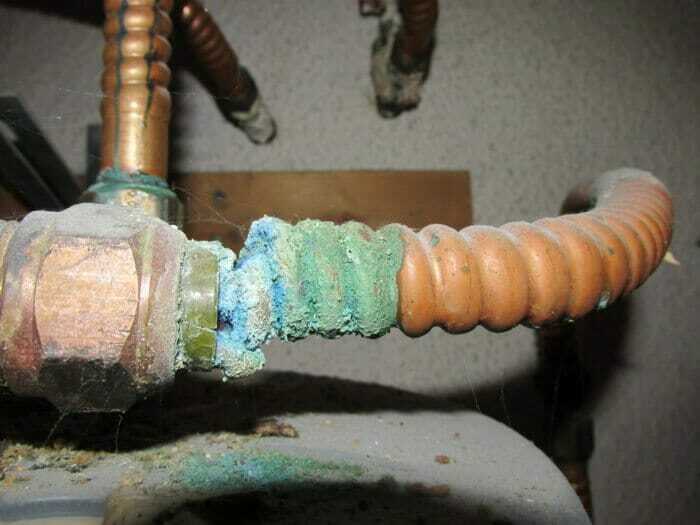 Excess flux used in soldering copper pipe will sometimes turn a greenish color over time. Mostly seen where too pieces of copper pipe are soldered together. This is nothing to worry about. 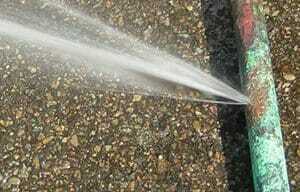 A slow leak may cause corrosion. 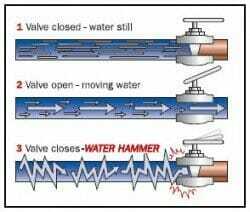 Common areas where you will see evidence of this is on the valves under sinks, at toilet water supply valves and at water heater shut off valves or connections. 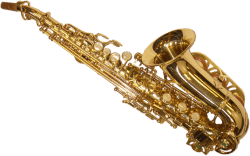 The leak may not be visible in the sense that you will not see dripping water. When there is no visible dripping water or damage, many people will just monitor the situation and some will do preventive maintenance. 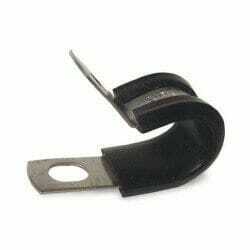 Occasionally just tightening a connection will stop a slow leak. 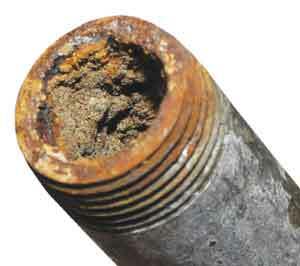 Should the corrosion become excessive or if there is very slow drip, then it common to replace the fitting or pipe. Many plumbers will recommend that if the piping is older galvanized piping that consideration be given to up-grading to copper or PEX piping. 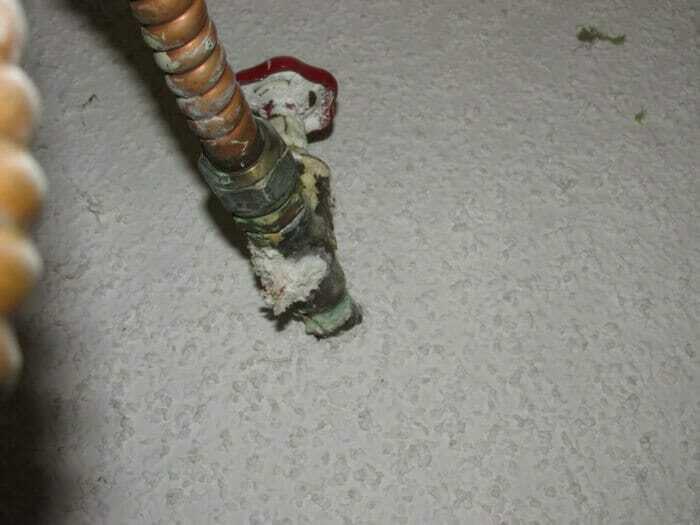 This is often referred to as re-piping a house. Who to consult? Plumbers and qualified handymen. 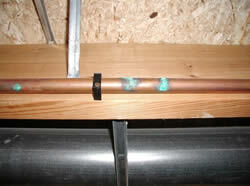 Generally corrosion falls into a maintenance area. Many home owners will manage these type of issues. 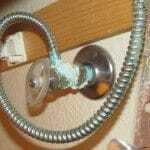 Plumbers and handymen also can deal with corrosion concerns easily and inexpensively.